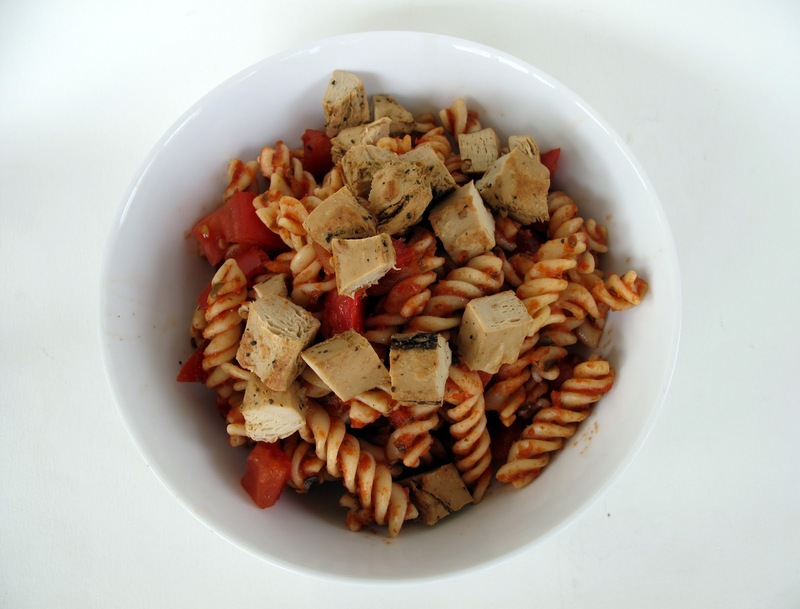 Beyond Meat is a new company that recently released a chicken-less protein strip that has been eagerly anticipated for a while. Biz Stone (the Co-founder of Twitter) is an investor, so there has been a lot of hype (even outside of the Vegan community) that Beyond Meat is the next meat alternative game-changer. 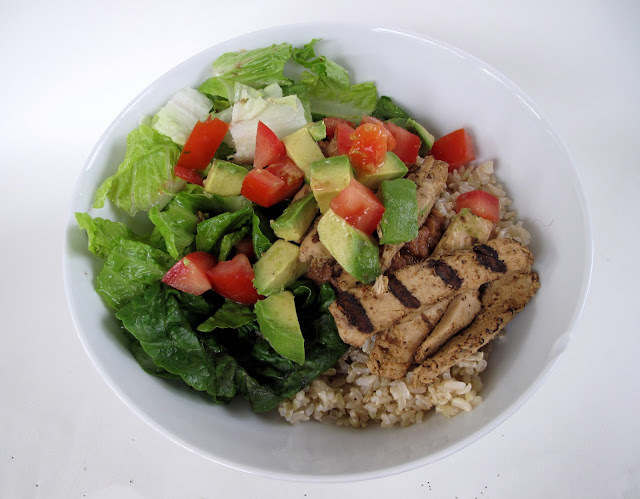 The first time I tried Beyond Meat was at the Whole Foods salad bar. I really wasn't blown away by it, but I chalked that up to the fact it hadn't been cooked or seasoned. 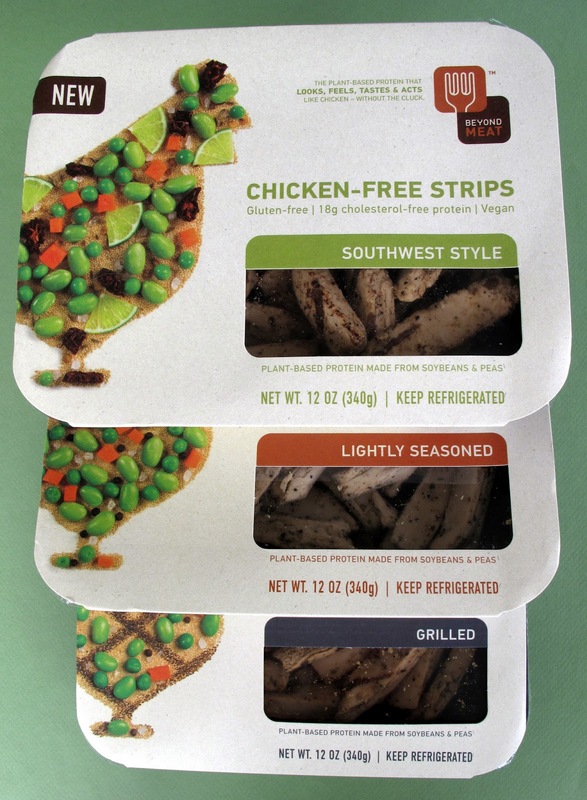 But now that Beyond Meat has graciously sent me all three flavors of their strips, I'm going to cook some up and see if the hype is real. 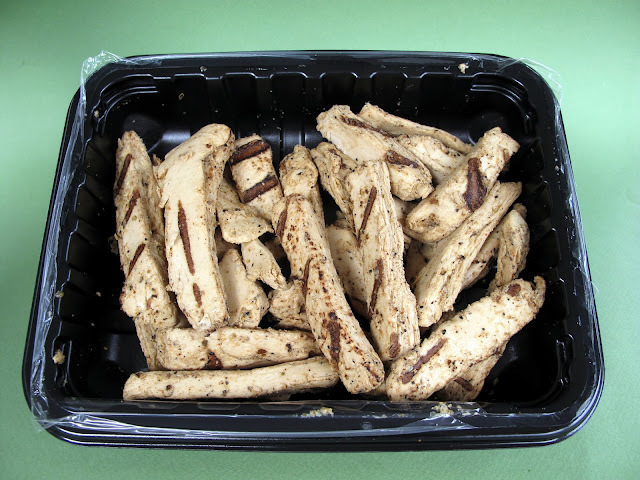 First off, after eating cooked the cooked Chicken-Free Strips for the first time, I NEVER want to eat them raw again. The cooked version with a little bit of oil is so much better, it's like night and day. I haven't had chicken in over ten years, but as far as I can remember, Beyond Meat tastes eerily similar. Not to the point where I'm weirded out because I think I thought I just ate chicken, but it definitely has those flavors you're going to remember. As for the texture, I thought it was spot on. Now if that's your cup of tea, well, that's up to you. I love that you can throw them into a salad, pasta, taco or virtually anything. On the plus side, I think meat eaters will dig this. In fact, I bet a lot of meat eaters would prefer Beyond Meat when cost, social responsibility and health are taken into account. Maybe that's just me being a optimistic Vegan, but I believe people in the end would like to do the right thing. When it comes to the three different flavors, there are subtle differences. I think the Grilled was my favorite -- of course it has grill marks and a smokey flavor. The Southwest Style had some spice to it and the Lightly Seasoned had a bit of a salty flavor. Overall, I think the flavors are subtle enough to put them in any dish you want. So, the good news is I think think the hype on Beyond Meat Chicken-Free Strips is warranted. My only suggestion is to cook it up in a skillet. Will all Vegans like it? No. 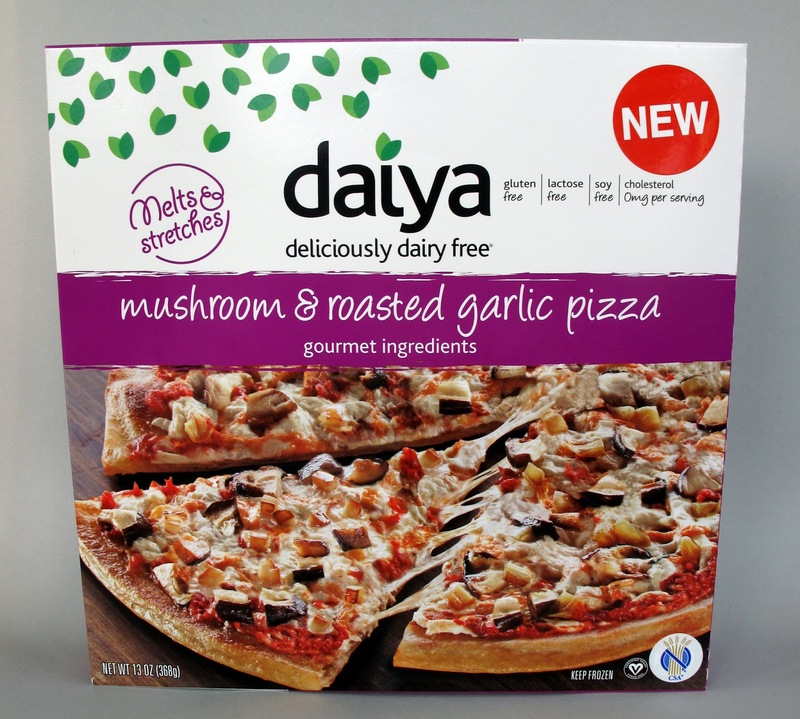 Will some meat eaters like it? Yes. And to me, that's the most important aspect. If we can get meat eaters to eat less animals, it will make a difference. Give it a try and tell me what you think!